Many thanks to Immaculee for the care she took in producing this gorgeous and informative card for Geography Cat of her home nation Rwanda. Rwanda has a turbulent and painful past, like so many nations, but since the genocide of 1994 the country has made what the World Bank deemed to be “remarkable development success.” It is an optimistic, hardworking nation with much to be proud of. One of the most impressive statistics about Rwanda is their gender equality. Rwanda ranks fifth in the world for equality between men and women, way ahead of higher income countries such as the USA or UK. Over 60% of elected politicians are female too. There is an excellent article about this on the World Economic Forum website. Tourism is important to Rwanda’s economic development, and a vital component of the tourist industry here is the provision of specialized tours to view the mountain gorillas. Mountain gorillas are a critically endangered species but their numbers are growing, and sustainable eco-tourism is helping to protect them by giving their environment a way to prosper economically without allowing overwhelming human development. The WWF estimate the one mountain gorilla can generate GBP 2.5m of tourist income in its lifetime; valuable foreign income that can be used to improve the lives of local people as well as the gorillas. 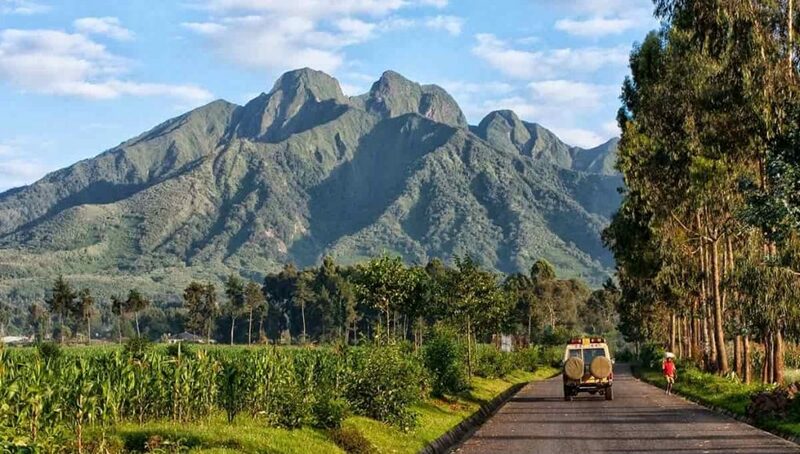 However, as Immaculee points out, Rwanda has much more “beauty beyond gorillas;” the stunning scenery of Akagera and Nyungwe National Parks, the diverse wildlife, interesting geology, and geomorphology and the capital city of Kigali for example. Kigali is known for its efficiency and cleanliness. In fact, Rwanda was the first country in the world to outlaw single-use plastic bags and bottles, and everyone is involved in community clean-ups and improvements on the last Saturday of each month. Wonderful information, have just added Rwanda to my bucket list. I visited the mountain gorillas in 2008 – very well organised to protect the gorillas and their environment and one of the most thrilling experiences of my life. A fascinating and beautiful country with generous people. A country full of young people under age 35 because of the The Rwandan Genocide that took place during the Rwandan Civil War which began in 1990 and ended mid-1994. Nearly 2 millions tribal people were masacred. The country is rebuilding itself. Yes, an estimated 76% of the population is under 35years old, comparable to other low income, landlocked sub-Saharan nations (Burkina Faso 79.2%, Malawi 79.5%, Swaziland 78.3%). One of the reasons for these young populations is the improvements which are leading to declining infant mortality rates; still not good, but undeniably going in the right direction. If anyone is interested to find out more about population structure Geography Cat recommends http://www.populationpyramid.net There are already plenty of articles online about the events of 1994, its causes and consequences, including the genocide.